Screen Leaders is the strategic company development programme for the screen industries that can transform businesses. Designed for company leaders working in film, television, animation, games, post-production, VFX, facilities, sales, distribution and exhibition. The programme, which has been running successfully for over 10 years, is funded by the Creative Europe MEDIA Programme and Screen Skills Ireland. The Screen Leaders programme will provide you and your company with the skills to lead and grow the organisation in a complex, innovative and evolving international marketplace, with a mixture of residential week-long workshops and one to one sessions from June to November 2019. Learn more on the Screen Leaders website. 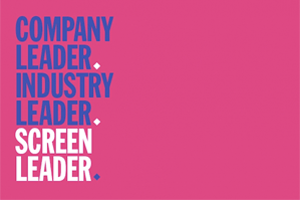 Interested to take part in Screen Leaders 2019? Apply now via the Screen Leaders website! The deadline for applications is Friday the 19th of April 2019.